Average Height	: 12" - 14"
Average Weight	: 25 - 35 lbs. All Terrier Rescue Hunters Crossing Inc. The Glen of Imaal Terrier is a sturdy dog that resembles the Welsh Corgi in that it is low to the ground with short legs. The Glen of Imaal Terrier was developed in Ireland and takes their name from the remote valley in County Wicklow where they originated. Fans of the Glen of Imaal believe the breed may be descended from dogs brought by settlers — who were awarded land in the valley in exchange for serving in Queen Elizabeth I's army — who then mixed them with the local canines. Bred to be a multi-purpose hunter, Imaals were initially used to hunt fox and badger and rid the home of rodents. Their tenacious spirit was also used in organized dogfights. One of his most interesting jobs was the role of spit dog, in which the dog worked a treadmill-like contraption that powered the rotation of a cooking spit. The Glen was recognized by the Irish Kennel Club in 1933, one of the last of the Irish terriers to gain official recognition in Ireland. The Glen then had to wait 42 years before the British Kennel Club recognized the breed in 1975, and another 12 years before the American Kennel Club followed suit, in 1987. The breed is still rare today, although the Glen is gaining popularity every year. He's proving to be an excellent family dog and, for some owners, he carries on his traditional role as a capable hunting companion. This is a "Large Dog in a Small Dog's Body"! •	Mellow and gentle with the family. •	Loves to hunt, but calm indoors. •	Intelligent, but a late bloomer, taking longer to mature. •	Sensitive to tonality of your voice. •	Can be stubborn, pushy and dominating if allowed to develop these characteristics. •	Make great family pet. •	Playful and good with children. •	Not good with smaller pets, like hamsters, rabbits, mice. •	Can get along with other dogs, if socialized properly. •	Respond well to obedience training and love to retrieve. •	A hunting terrier at heart they like to dig and chase. •	Not a big barker. The Glen of Imaal is a spirited, brave, patient and devoted little dog. Mellow and gentle with the family, it is vigorous and unyielding when hunting; otherwise mild-mannered and calm indoors. They are intelligent, but also late bloomers, taking longer to mature than the average dog. It is sensitive to the tone of one's voice and will not listen if it senses that it are stronger minded than its owner, however it will also not respond well to harsh discipline. Owners need to be calm, yet possess an air of natural authority. Do not allow this dog to develop Small Dog Syndrome. If it senses the owners are meek or passive it will become stubborn, pushy, and dominating as it will believe it needs to run the home. If under exercised it will become rambunctious. These loyal dogs make fine family pets. Playful and good with children. Should not be trusted alone with small animals due to their hunting instincts. Use caution around pets such as hamsters, rabbits and mice. With proper leadership and human to canine communication they can get along well with other dogs. They can live with cats if the cats are able to establish their dominance over the dog. The rules of the home should be made clear and stuck to. Training should always be consistent with some play in every session. Imaals respond well to obedience training and can be taught to retrieve. Glens are keen to learn. A hunting terrier at heart, the Glen likes to dig and chase. This breed does not bark much but when it does its voice is deep. These dogs will bark if they detect danger but will rarely bark without a reason. The Glen is a great family pet, playful and kind with children. 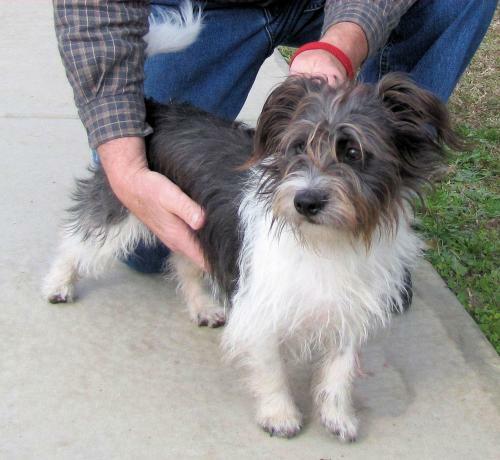 He's an extremely strong and muscular terrier, though, and can play too rough for very young and small children. If they spend plenty of time around other dogs, especially in puppyhood, the Glen can get along with other canines. They are known for their strong personality, however, that can lead to quarrels. And because they were bred to hunt small prey, the Glen isn't recommended for homes with small furry pets that are allowed to roam free. He'll chase, and possibly kill, cats, mice, gerbils, hamster, rabbits, and other small animals.